For many consumers, the Consumer Financial Protection Bureau has been the best thing the government has offered in many years. It’s an agency that is being led by fair minded and determined leaders who are genuinely looking out consumers. Now, though, at least one economist is saying the bureau is abusive in its powers. Here’s what George Will has to say – you decide for yourself after getting his take. Will begins his discussion with reminders that Richard Cordray, the director of the new watchdog group, was appointed by President Obama during a time when the Senate wasn’t even in office. Calling it a “spurious recess appointment”, he said the decision “vitiated the power of the Senate to advise and consent to presidential appointments”. This, says Will, was the first step towards “lawlessness”. What he doesn’t mention, however, is the pressure Republicans had put on the Obama Administration. They, along with the majority of Wall Street, was then and is now vehemently opposed to the bureau’s existence. No banker wanted the strict new laws associated with the Dodd Frank reform nor did they want the Durbin Amendment, which was added, really, as an afterthought. Will’s not finished, though. He continues and goes so far as to say the Consumer Financial Protection Bureau basically eliminates the power of Congress has to “control bureaucracies” because Cordray basically has too much power. Of course, the bankers, who, for all intents and purposes ran the national economy didn’t have, what? Enough power? After all, these massive bank CEOs brought the national economy to its knees. The too big to fail brouhaha still haunts this country to its core. The entitlements and attitudes that they can’t be bothered to show up to testify before their fellow cronies in Congress should speak volumes about the power of an elite group of bankers. Will is especially frustrated because CFPB isn’t tethered to any of the three government branches. Then again, that’s not a bad thing. The framers wrote the Constitution to provide for a separation of powers – three branches, if you will. Each has distinct responsibilities and they all come together to ensure the country moves forward in as seamless a manner as possible. The purpose is to protect the citizens of the United States. But let’s take a look at those three branches over the past few years. In the legislative branch, we have a group of lawmakers who can’t even find a way to balance a budget. Now, here we are, with about a month to go and no one has found a solution that would prevent the fiscal cliff from coming full circle. Our executive branch has done so well that nearly every state has raised enough signatures to secede from the union. That speaks volumes to outsiders, right? And, of course, our judicial branch. The Supreme Court rulings have left most of us scratching our heads and wondering where they come up with some of their justifications. The purpose of the Consumer Financial Protection Bureau is to create a single point of accountability in the federal government for consumer financial protection, the Act consolidated many of the Federal consumer financial laws authorities previously shared by seven federal agencies. said Michael Crowley, NAEBA President. In seeking to provide everyone with all the information they need in clear, transparent English, their work serves the interests of both business and consumers. It’s a win-win. In its first year alone, the Consumer Financial Protection Bureau has won refunds and restitution for everyday consumers that total more than $425 million against three of the biggest credit card companies, including Capital One, Discover and American Express. For whatever reasons, those who were opposed to CFPB before it was brought to light remain so today. There’s no denying the massive services it’s provided to consumers around the nation. With President Obama’s reelection, Cordray & Co. are good to go for at least another four years and hopefully, by that time, Will and other naysayers will finally have come to see the benefits of a bureau that focuses less on politics and more about the consumers in this nation. 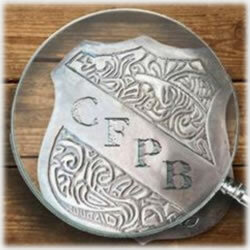 So what are your thoughts on how well CFPB has done in its first few years? Have you been on the receiving end of any of those lawsuits against credit card companies? Maybe you’ve filed your own complaint? Share your story with us.